Dr Adrian Sultana is a consultanat anaesthetist in Sydney, Australia, he graduated MD University of Malta in 1984 and MRCP (UK) in 1987 having trained in General Medicine in Malta and the UK. In 1988 he moved to Australia, where he trained in anaesthesia in Sydney and Melbourne. In 2007, he was elevated to Fellowship of the Royal College of Physicians and Surgeons of Glasgow having achieved distinction as a Physician. In particular, recognition was given to Dr Sultana’s contribution to the peri-operative management of bariatric surgical patients. The University of New South Wales – Conjoint Lecturer, Prince of Wales Clinical School Faculty of Medicine. 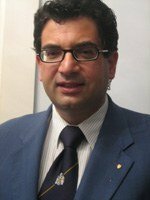 During 2009, Dr Sultana has presented three Scientific Papers related to anaesthesia for bariatric surgery: one at the 2nd world congress of TCI in Berlin, Germany, and a further two at the Australian and New Zealand College of Anaesthetists Scientific Meeting: Cairns, Australia. 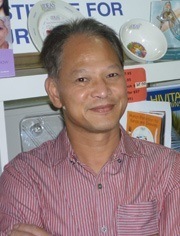 Dr Yung Tran arrived in Adelaide in 1975. In 1976 he completed high school as dux at Marion High School in Adelaide. In 1982 he finished his medical training at Flinders University of South Australia. Post graduation, he traveled and worked extensively in different fields of medicine. He commenced training in anaesthesia in 1985 first in the UK and subsequently in Brisbane, completing his training as a senior registrar at the Westmead Hospital in 1992. He obtained his UK Anaesthetic Fellowship in 1989 and his Australian Anaesthetic Fellowship in 1993. From 1993 he pursued further training in intensive care medicine and obtained his Fellowship in Intensive Care in 1995. He currently works as a Senior Consultant in Anaesthesia and Intensive Care at Westmead Public and Private Hospitals as well as his affiliation with SIOS. Amongst the major interests are bariatric anaesthesia, difficult airway management, obstetric anaesthesia and intensive care, transthoracic and transoesophageal echocardiography.